When on a long road trip with the kids do you get tired of hearing " ARE WE THERE YET?" I know I do. My 2 oldest are the so bad about saying that a million times, surprisingly my 2 yr old travels well (sleeps most of the way). 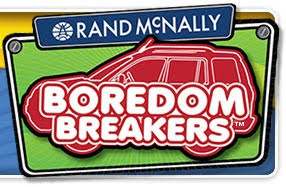 If you are planning a trip for this up coming Labor Day weekend or anytime, check out Rand McNally Boredom Breakers, we received Story Starters and plan on using it soon on our next road trip. Rand McNally, the venerable American company that has been helping families find their way for more than a century, just introduced a series of innovative games and activities to keep kids entertained and families connected in the car. The Boredom Breakers line is a refreshing alternative to portable DVD players and handheld video games many families use to pass time on long road trips or while shuffling around town. The products are designed to bring families together, encouraging conversation, laughter and fun making the miles fly by for moms and kids on the go. Rand McNally developed the five games based on extensive parent research. Moms across the country were clear about what they like - creative activities that make kids laugh and allow family members to learn more about one another - and what they don’t like - games with a lot of little pieces. With that, Boredom Breakers were born! The five activities are sold separately at RandMcNally.com and Amazon.com. Tell stories, solve mysteries, play car games, sing classic pop tunes, discover new things about each other…and do it together as the hours quickly pass. Story Starters: Packed with 72 minutes of funny stories, mysteries and games, this interactive CD will be an instant road trip hit. 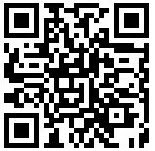 Story Starters combines the best of classic radio-style drama and audio effects to get families telling stories together. Hearing is truly believing! Car Karaoke: Mom can sing lead and kids are back-up vocals. Just pop in the CD with 12 classic rock, pop, and kid favorite songs. Includes everything needed to be a rockstar: an inflatable microphone, rating cards, and three lyric books. Choose from favorites like “Build Me Up Buttercup” or “Twist and Shout,” to see who’s got the pipes in the family. Earplugs not included! Car Game Countdown: Car games are fun, but they are even more outrageous when you’re trying to beat the clock. 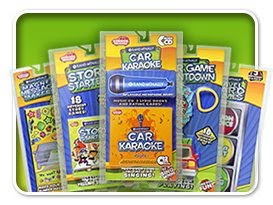 Car Game Countdown includes a car-shaped digital timer with electronic sound and laminated dual-sided game cards featuring 18 games on a clip ring. Travel Card Games: Travel Card Games features three great games to pass time and start conversations. Includes a slim storage box to easily stow in the backseat pocket. Review of Story Starters coming soon on Life In A House Of Blue !!! I so could have used this when we drove to Kentucky this summer! I'll keep it in mind for next year! We travel up to Canada a lot these would be great, thanks for the post!